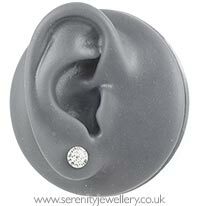 Hypoallergenic surgical steel 7mm multi-crystal stud earrings with surgical steel butterfly backs. The crystal are covered in clear resin to prevent them falling out. Yet another beautiful pair of earrings. My 13 yr old loves them and all her friends want them!! 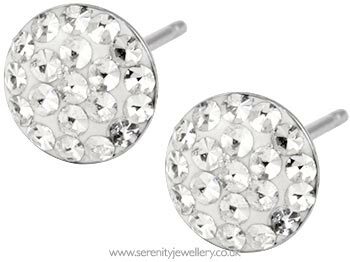 Love these earrings - they look brill and don't make my ears hurt at all - which is great as all other types make my ears sore. Wanted something elegant but sparkly and these are just right! 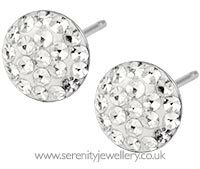 I have very sensitive ears and a nickel allergy and these earrings are so comfortable - been wearing them every ddy!